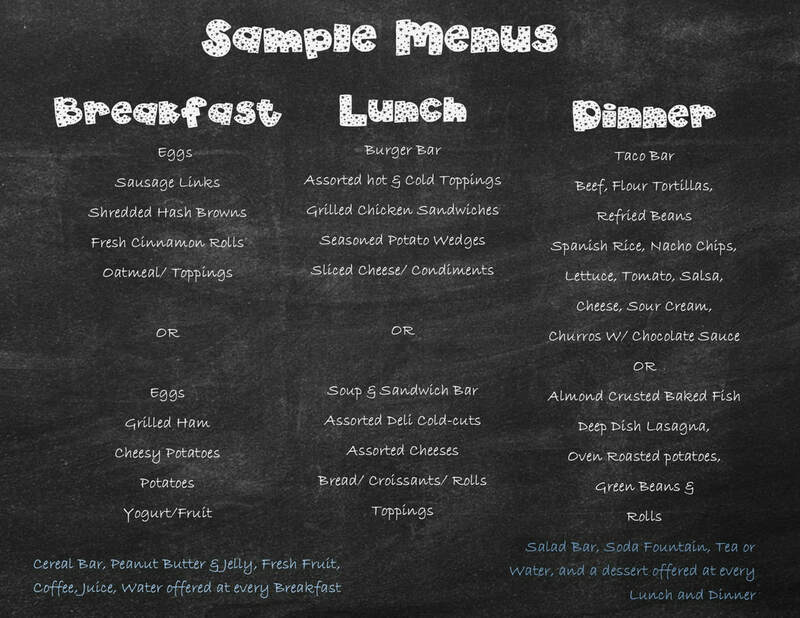 ​Please be advised these are only samples of an assortment of meals that can be prepared by our Chef for your event. The Snack Bar & Dining Hall will be CLOSED for the winter starting October 15th. Also be sure to Join us on Memorial Day Weekend 2019 for the Grand Re-Opening of the Snack Bar! Thank you to all who were a part of the Dining Hall Restoration Project. Whether you made a financial contribution, donated your time, resources, knowledge, encouragement or prayer, we could have not have done this without you! God was so gracious to bless us with the means and people to make this project happen. We started off on this venture in May of 2018 with fundraising and hired a new Chef, Richard Hand, who were able to give great insight to the much needed renovations to our dining hall and snack bar. By October 2018 we had all of the funds that we needed and was able to begin this process. Be sure to check back here for more photos and information.